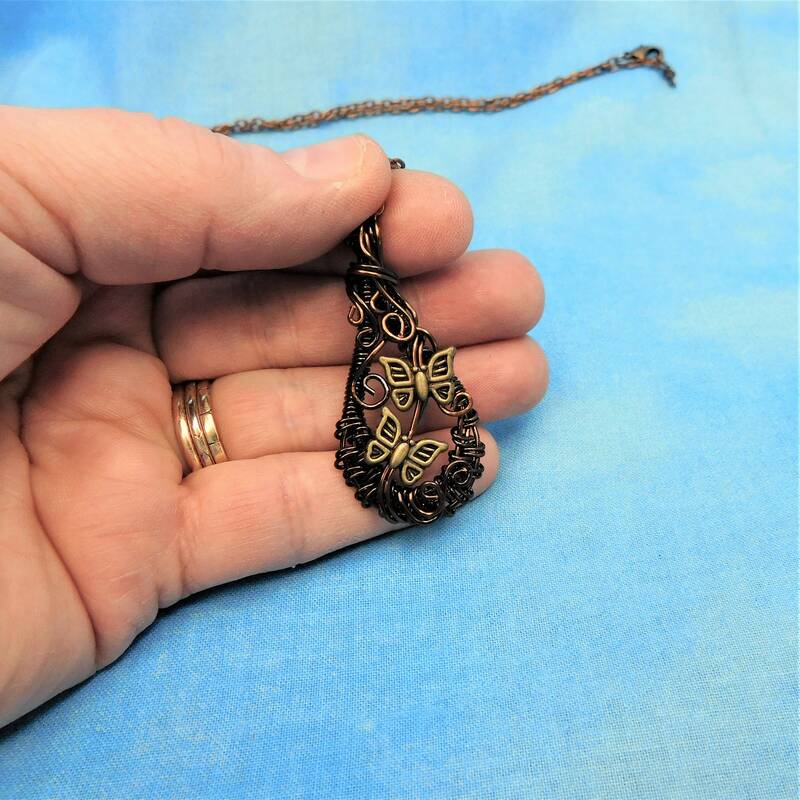 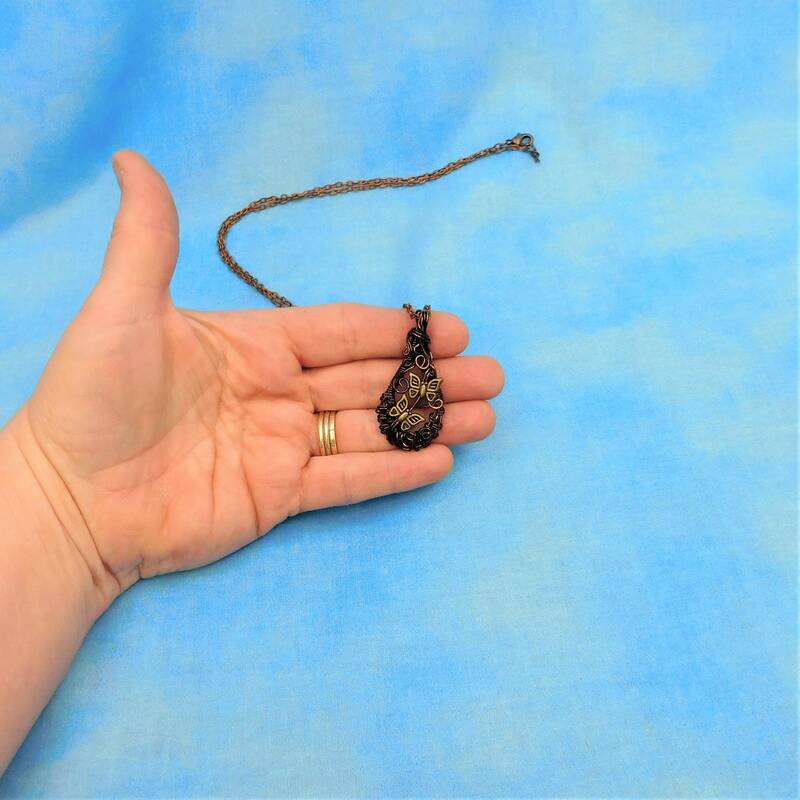 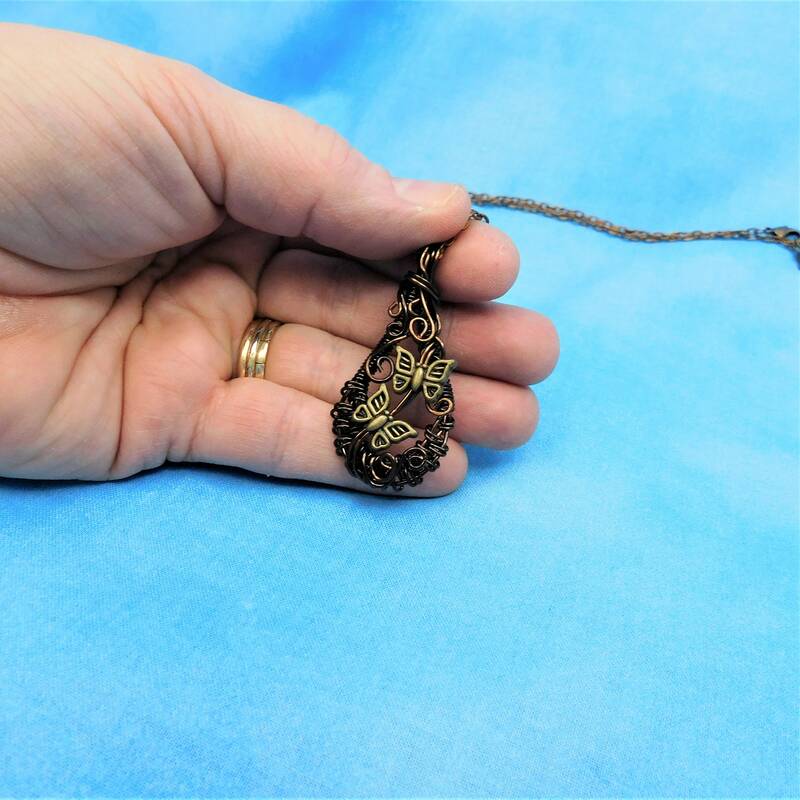 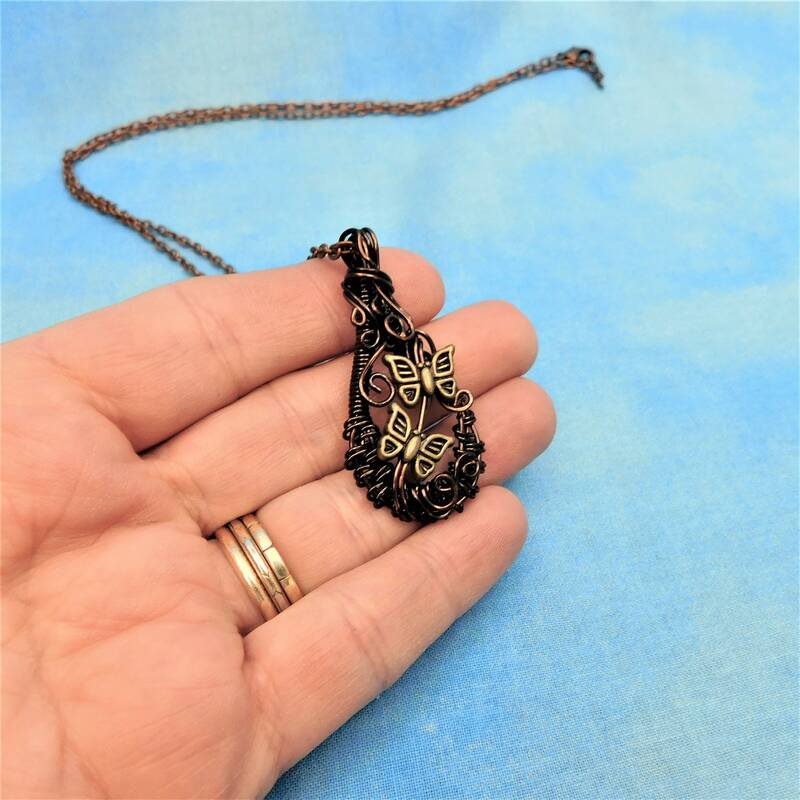 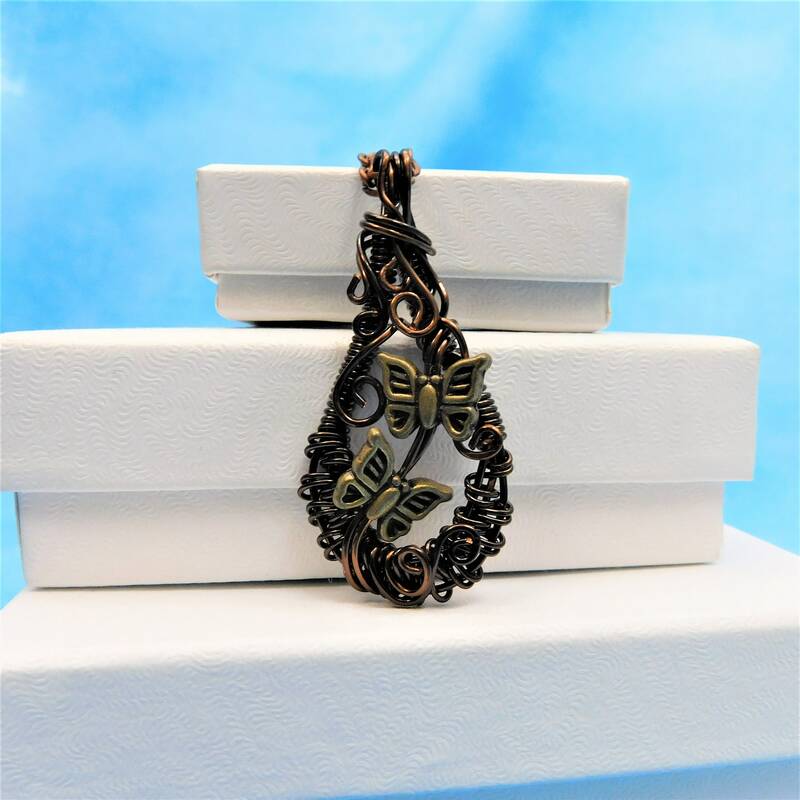 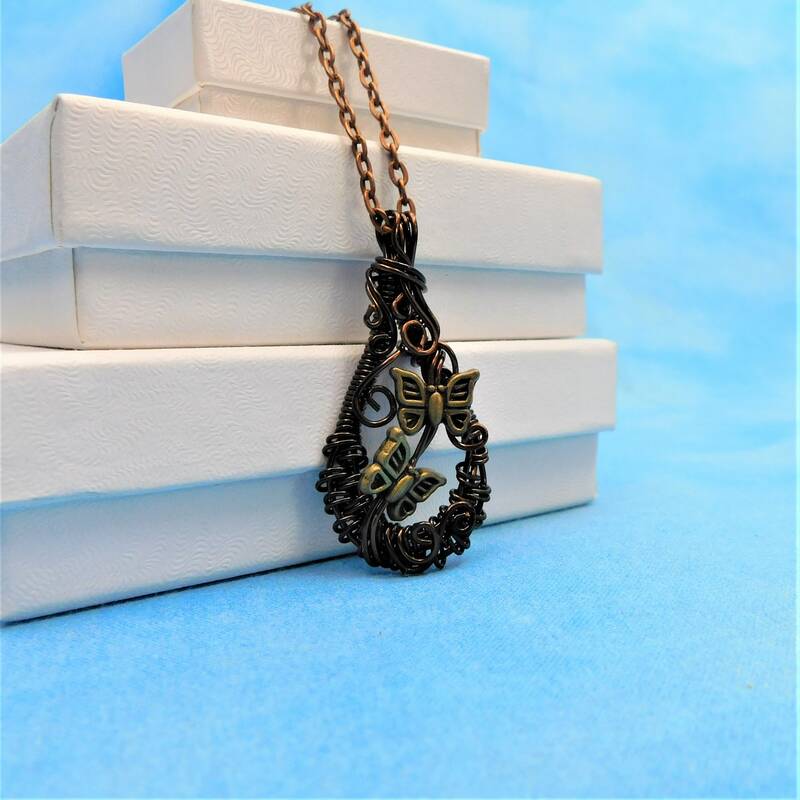 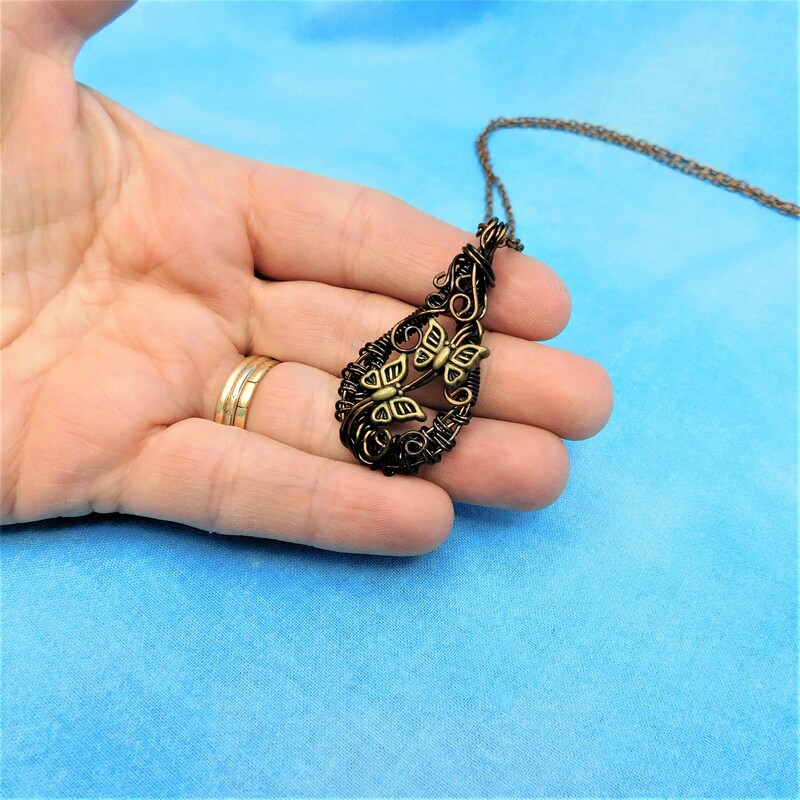 Smokey Quartz colored copper wire is artistically hand woven and sculpted into a 1 3/4 inch by 3/4 inch pendant with two small butterfly embellishments. 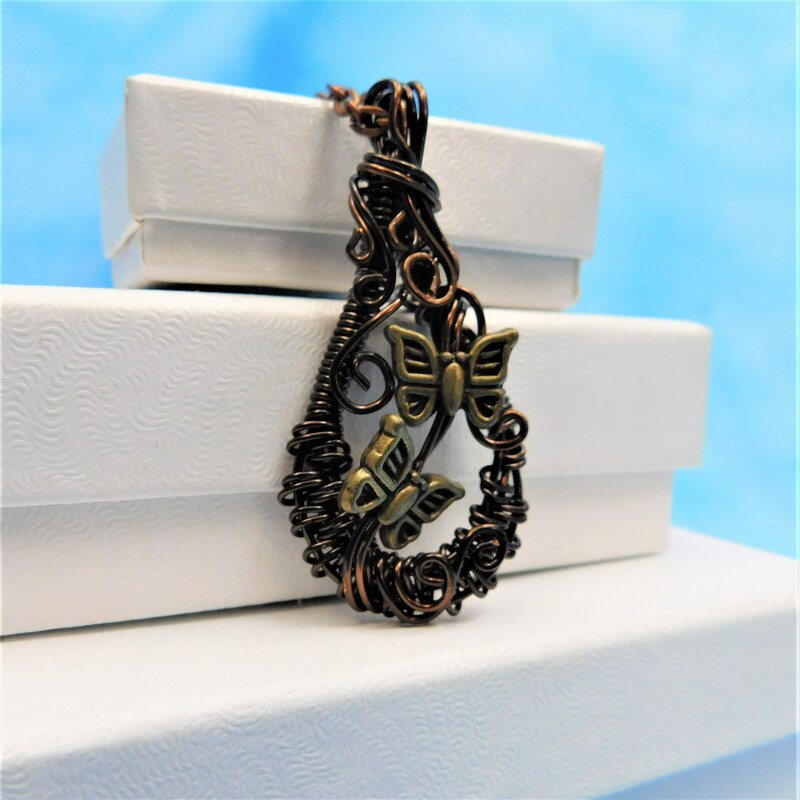 The deep rich color of the wire is a lovely backdrop for the two vintage bronze colored butterflies that fly within it. 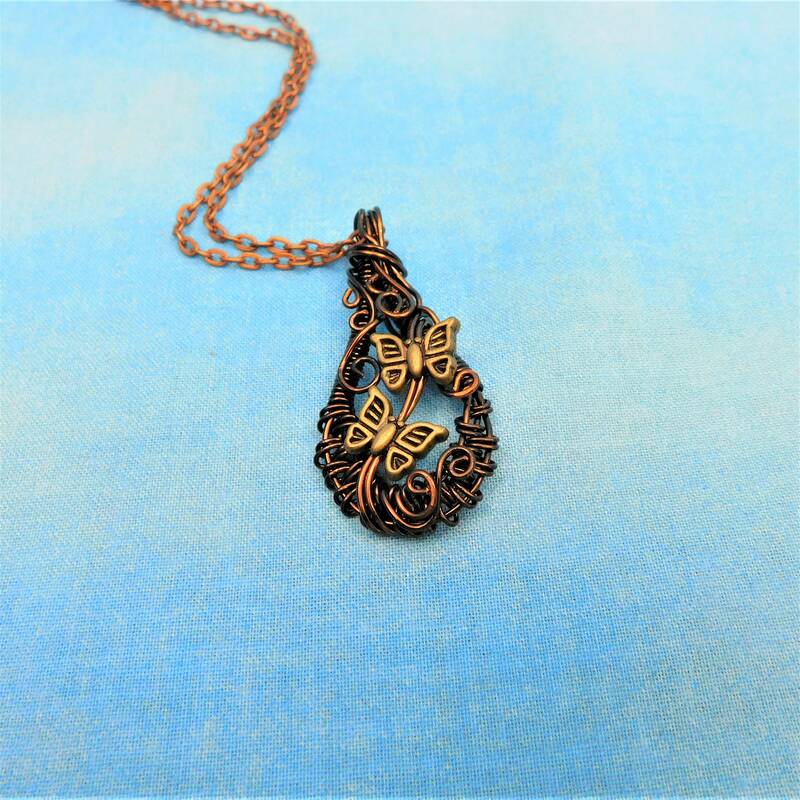 Butterflies can symbolize freedom, coming of age, or a memorial to a loved one who has passed. 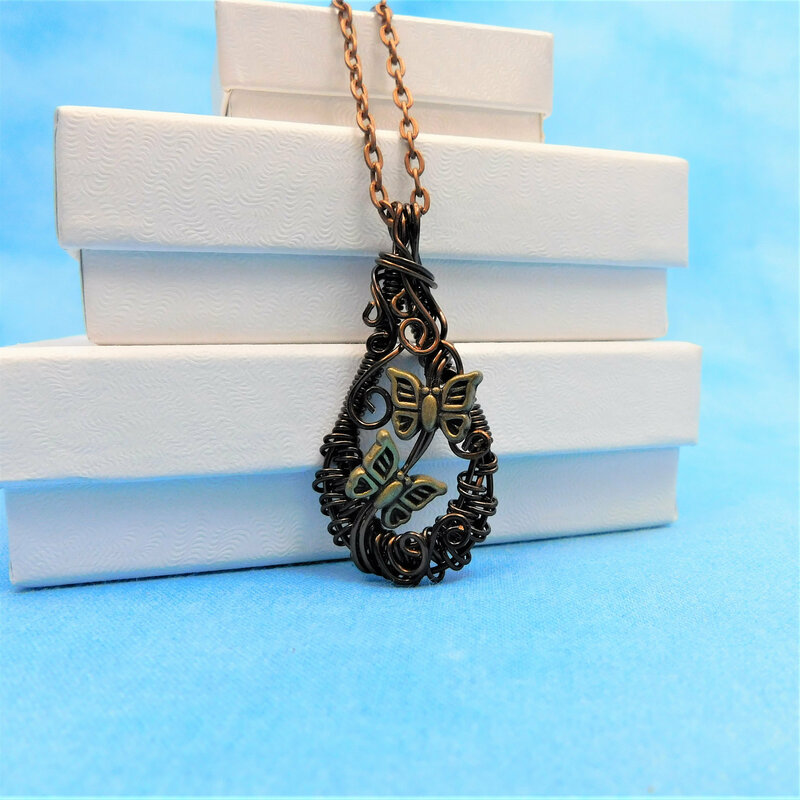 Such a pendant makes an especially thoughtful and meaningful gift.